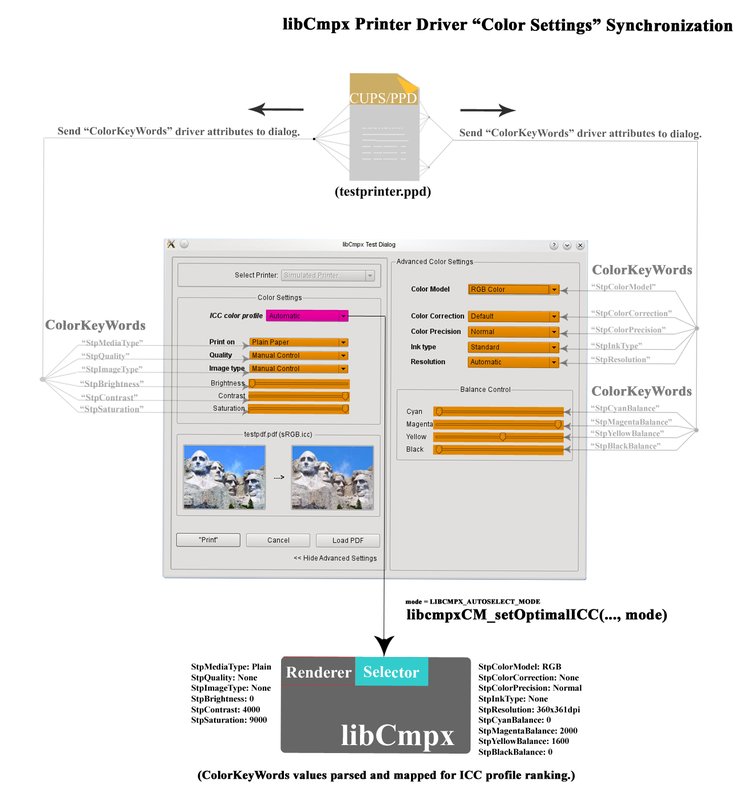 Finalized during the 2012 Google Summer of Code, libCmpx provides an easy-to-use API for extending printer color management from within Linux print dialogs. 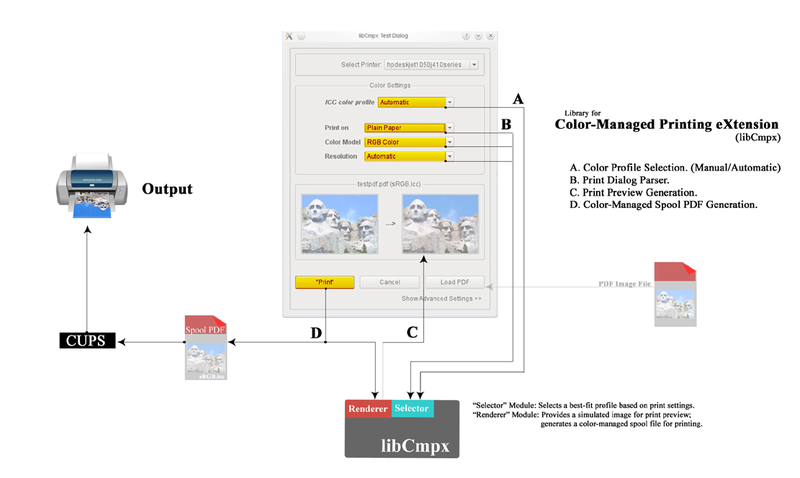 It is divided into two modules – one to process a color profile based on settings in a print dialog (libCmpx “Selector”) and another to create a color-managed spool file based on that profile (libCmpx “Renderer”). The library is currently being tested in Krita, which will be the first application to use it. 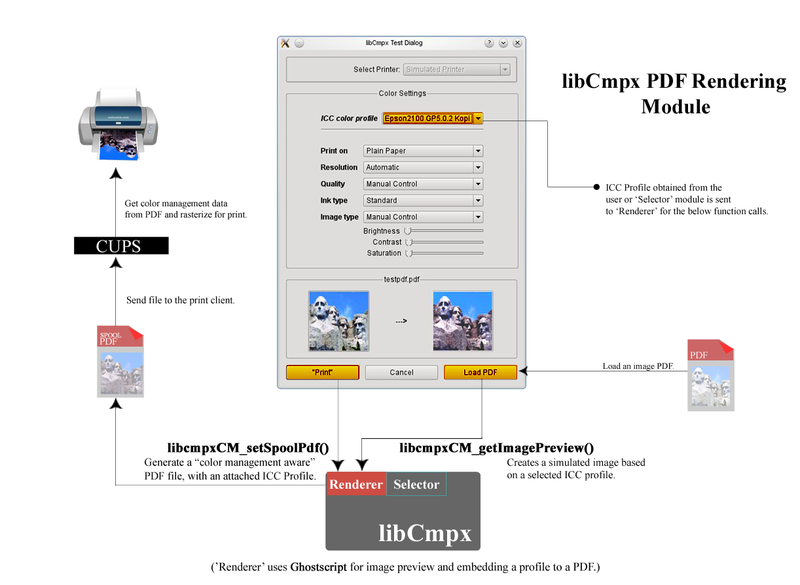 Please check out the libCmpx wiki page for more information.